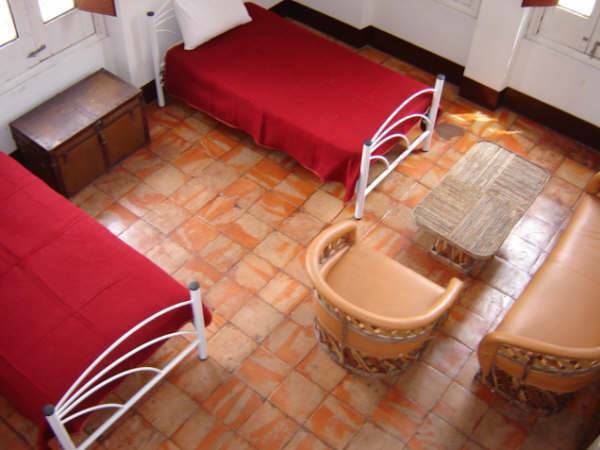 Casa Libertad offers great economic accommodation to travelers from all over the world. Situated in the traditional Zona Rosa of Guadalajara, close to the historical centre of the city and the heart of the city's entertainment. Casa Libertad offers great economic accommodation to travelers from all over the world. We offer our guests the most personal, friendly and relaxed atmospher Situated in the traditional Zona Rosa of Guadalajara, close to the historical centre of the city and the heart of the city's entertainment. As well as great accommodation, Casa Libertad also offers guests excellent food, a bar, communal areas, terraces with sun loungers, wireless internet access and the security that enables you to enjoy your stay with total peace of minde. At Casa Libertad we have created a unique concept - we have our own restaurant, bar, café and art gallery for you to make use of during your stay with us. Enjoy food from our world class kitchen, or some of the best coffee in Mexico, brought from Chiapas, ground and roasted just minutes before being served to you. At night, try the tasty cocktails made by our expert London-trained bar tender. All this in a perfectly relaxed setting and at an excellent price. The guests in Casa Libertad will be enjoying wireless internet for free, bar, restaurant, art gallery, house keeping service, loundery service, house parties, expositiions, fashion runway shows, main events, live music performers (techno beat, drum and bass, break & beats, indi, alternative, rock, pop & dance, reagge, house, rock , jazz, classic, ambient) and more!!! Males dorm: 15 bed room, with lockers, balcony, table with chairs, one in bed and one in balcony, mirror, spacefull,. Girls dorm: 8 bed dorm, lockers, table, big windows, mirror, spacefull. Private: 1 queen size bed, private balcony, drawers (2), table with chairs in balcony, lockers, mirror. Private double: 2 beds, lockers, drawer, balcony, mirror, sofa. We are located nearby the historical center of the city, close to Guadalajara`s night-life, one block away from the american consulate, in one of the most antique nieghborhoods. The hostel is a cultural-historical house, it was at first a mansion built by a german couple back in the late 20`s (1921), for them to live a new life in Mexico. Around two decades later an old lady from Germany too, bought the mansion but for a noble reason, she used the place to shelter homeless kids from the second world war who lost there families. Not so back in time, around the two last decades, it was the city`s wax statue museum. The house`s arquitecture was built colonial style and it keeps the same aspect scince then. Tour to Guadalajara's most important spots. A discount is offered for long stays. the percent that you pay here, is just for the service to booking with us. Casa Libertad is situated in the 'Zona Rosa' of Guadalajara. The hostel, named after the avenue it's on, is one of the most important houses in the area, its beauty conserved since the years of American colonization. Buses, taxi and subway are available near to the hostel. Nearest airport: Guadalajara`s airport. 30 min.